Martin Graves Post 339, Bellevue American Legion Post has existed since 1927 in Bellevue. Martin Graves Post 339, Bellevue American Legion Post is a chartered Post of the National American Legion. We were originally chartered in 1927. Our function is to provide a service to Veterans, their families, children and youth and to the community as well. Martin Graves Post 339, Bellevue American Legion sponsors eight Bellevue, Nebraska Legion Baseball Teams. Two from Bellevue East High School, two from Bellevue West High School, two from Omaha Gross High School, and two from Omaha Bryan High School. This is Post 339’s largest Post Program. 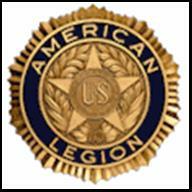 A PARTNER IN SPONSORING AMERICAN LEGION PROGRAMS. 2019 MEMBERSHIP DUES ARE NOW DUE. PLEASE SEND YOUR RENEWALS IN ASAP! IF YOU HAVE ANY QUESTIONS ABOUT YOUR MEMBERSHIP, CALL THE ADJUTANT, DAVE COOMBS AT 402-850-8688. POST 339 HAS ADOPTED THE RESIDENTS OF THE VICTORY APARTMENTS, SUBSIDIZED AFFORDABLE HOUSING FOR FORMERLY HOMELESS AND LOW INCOME VETERANS.